19 Amazon Prime Video tips, tricks and features | What Hi-Fi? Got a new Amazon Prime subscription and looking for some Amazon Video hacks? Or a long-time viewer wanting to ensure you're getting the most out of it? We’ve got all the hidden tips and tricks for Prime viewing. Amazon Prime Video - at times it feels like the Luigi to Netflix’s Mario. But like Luigi, some (including us) see it as the superior option. Being tied in to Amazon's Prime subscription means 80 million people (at least) have Amazon's Prime Video streaming service ready to go, and access to all the great content currently available on the platform. But whether you’re a Prime professional or just thinking of signing up, you’ll want to get the most out of the service. Here are a few tips and tricks on how to get it. There are two different payment tiers for Amazon Video - the £6 per month rate gets you the streaming service, or Amazon Prime membership for £8 per month (or £6.58 per month if you pay for a year upfront) which gets you all the Amazon shopping perks (like one-day delivery) as well as the Video streaming capability. Unlike Netflix, these tiers aren’t based on quality. If you choose the £6 option you still get access to all the 4K and HDR content you can watch as a Prime member. You can stream up to three programmes at once (although not the same one) from the same Amazon account. Amazon Prime Video will recommend TV shows and films based on your past viewing history - but what if you’re really into crime thrillers, your other half loves romantic comedies and the kids love cartoons? The answer is by linking together two Amazon accounts that will both have access to Prime Video. You can also add up to four children who can watch without needing an Amazon account. To do this, go to: Your Account > Shopping Programmes > Amazon Household. There you can can add another adult or profiles for children, and then click ‘Create Household’. If you don’t want your little ones coming across adult content, it’s best to set up a four-digit PIN. You can do this on the web by going into the 'Settings' of the Prime Video section of Amazon’s site, and also in the mobile app's settings. 4) To buy or stream? 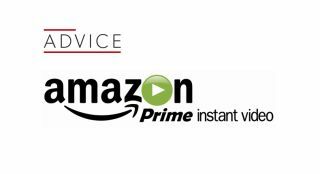 Amazon Video has a mixture of content available to purchase and to stream with your Video subscription - but how do you know which is which? If there’s a blue Prime banner in the top left corner of the show’s icon, that means the series is free to stream with your subscription. However, just because a show is part of a Prime Video subscription doesn’t mean every episode or series will be. The first four series of The Americans, for example, are included in Prime Video, but you’ll have to purchase or rent the latest series. It's likely to make its way to the service for free eventually - it usually takes around a year - but if you can't wait you’ll have to cough up some extra cash. With all Prime Video subscribers getting access to 4K Ultra HD content, it would be remiss not to make the most of it. On Amazon’s TV app for smart televisions there’s an Ultra HD category with some of its most recent, or promoted, content. Similarly, you can search for ‘4K’ or ‘Ultra HD’ in the search bar to bring up the top-resolution videos. However, the search results might not be complete - you can only tell for sure if a TV show or movie is 4K by clicking on it. Unfortunately, if you're on a mobile device, this doesn't show up at all. HDR video - and Dolby Vision on compatible televisions like LG's OLEDs - is a little more difficult to spot than 4K, as there isn’t a set category for it on the main screen. Amazon’s search function is also incomplete - when typing in ‘HDR’ it recommends The Man In The High Castle, but leaves out other HDR shows like The Last Tycoon. Much like finding 4K content, it’s a bit trial-and-error - clicking on shows to see if they come up with the HDR or Dolby Vision symbol seems the best way to find out. While Netflix has content with both 5.1 or Dolby Atmos sound (albeit just one film for the latter), Amazon’s content has 5.1 soundtracks almost exclusively. However, this is available across a range of products you might not expect - including Kindle Fire HD, Kindle Fire HDX, and the Fire HD and HDX tablets. Unfortunately for iOS users, this doesn’t extend to them. Apple devices are stuck with simple stereo soundtracks. Sometimes you might want to enjoy the sound of silence, so you flick on the subtitles. To do that, press the up arrow on a smart television remote and navigate to the ‘Closed Captioning’ icon, or use the options button on an Amazon Fire remote. In the mobile app, simply tap the dialogue box in the top right corner while watching. You can change how they look too. In Prime Video's website settings, you can choose between four editable presets. It’s worth noting, however, only selected films and TV shows support subtitles, so this won’t be a universal solution. Hopefully, more will get updated over time. On iOS, getting Prime Video is as easy as any other app, but on Android it's a little tougher. First, download the Amazon Underground app, which is like a separate app store on your phone, and then search for the Amazon Prime Video app from there. It's an unnecessary extra step, sure, but that's the penalty for Android users that have shunned Amazon's ecosystem. For those using tablets or smartphones to watch their shows and want to save on a bit of data, you can download content to your device for offline viewing. On select films and TV shows (usually, but not exclusively, ones made by Amazon or solely available on their platform) you can tap the little download arrow to save it to your device. The ones you’ve got offline can all be found in the ‘Download’ tab in the menu at the bottom of the mobile app. Of course, you might not want a three-hour film downloaded in its highest quality - it's going to fill up your smart device's storage space mighty fast. So go to the app's settings and click on ‘Download Quality’. There, you can change between three tiers of video quality: Good, Better or Best. These range from using around 0.3GB of data and storage to 0.9GB. And if you want to ensure content is only downloaded over wi-fi (saving you from using up your precious mobile data), there’s a toggle switch for that too. Similar to downloading shows, the Prime Video app also has settings for changing the quality of the shows you’re watching over mobile data - again on a Good, Better, Best scale. You can also decide whether you want to stream exclusively over wi-fi and, if not, whether you want a notification when the app is using up your data. You’re on a long train journey, open up your favourite TV series, nod off and wake up to discover you’re seven seasons in and you’ve used up all your data allowance. Amazon can help with that. Under the Settings tab is an toggle for turning Auto Play on or off. No more unintentional binges of Parks and Recreation for us. One of Prime Video’s most interesting features is X-Ray, which lets you see actor biographies, trivia and other information overlayed on your show. It's taken straight from IMDb (which is owned by Amazon). Tapping anywhere on the screen on iOS, Android or Fire devices will bring it up, so no more struggling to recall supporting actor “oh, you know, what’s-his-name”. Too many shows, not enough time? Add them to your Watchlist so you don’t forget to binge and inadvertently become that one out-of-touch person at the office. Choose a TV show or film, either on the website or in the mobile or television app, and just press the ‘Add to Watchlist’ button. If you're a Prime member, some Prime titles also display a 'Watch Now' option once you open them from your Watchlist, so you can get to it faster. Of course, if you’ve watched something particularly embarrassing (or just something you disliked) and don’t want it interfering with Amazon’s recommendation algorithms, you can remove it from your history. On the Amazon website, go to ‘[Your first name]’s Amazon’ tab (it's next to ‘Today’s Deals’ on the top left corner) and then go to ‘Your Browsing History’. There you can remove videos completely, or just tick a box that tells Amazon not to recommend any other similar shows. Of course, if a box-set or film isn’t available to stream, you can always buy a digital copy. Any content purchased through Amazon Video appears in the ‘Your Video Library’ section online, or in ‘Library’ on mobile. But proceed with caution: not every film with a 4K HDR Blu-ray will be available in that quality on Amazon Video. A digital copy of The Martian, for example, can only be bought in HD or SD quality. So you’ve decided to sell your Android or iOS device, money has been exchanged and you’re driving away. But wait! You’ve left your Amazon Video account logged in! Rather than relinquish your streaming service to someone else, you can go into the app’s settings on another device and click ‘Registered devices’. There, you can disconnect any unwanted devices from your account. Don’t like any of Amazon’s content? Why not submit your own? Going to Amazon Studio’s main site lets you submit a script or a concept video to the company, with the possibility of it being developed into a full-fledged programme. And if you do become the next big thing, do let us know via Facebook or Twitter. Not least because we’d like a tiny cut of the royalties.